On December 12 the lucrative subsidy that was offered to homeowners installing solar panels was cut by a half. The shock announcement caused panic across the solar industry as the mad rush to get systems registered with the higher rate kicked off. The question now that the cut-off date has been and gone is; is a solar Installation still worth doing? There is no doubt the incentive is not what it was. Luckier homeowners who caught the deadline will be expecting a 7-14 per cent annual return on their initial investment compared with the 5-10 per cent return that homeowners installing solar panels now will receive. The decision to cut the feed-in tariff was in response to the rapid fall in PV prices, which took a dramatic drop of over 30 per cent in the last year. The government insists that the scheme was never designed to be as generous as it became. While the choice is not as clear-cut as it was, panels are always going to be worth investigating. They still offer you a healthier financial return on investment then many banks will ever offer. Another bonus is the feed-in payments will rise with inflation (linked to RPI) and you’ll save more if energy prices jump significantly. With the prices of electricity as they are the Energy Saving Trust (EST) estimates a typical 2.9kWp system can knock £90 to £180 off a family’s bills each year. That figure depends a lot on system size, electricity use, whether you’re at home during the day and other factors. If you are interested in the environmental benefits, solar power will always be a good option. Your choice of panel however is important. A typical domestic system can save 42 tonnes of carbon over 25 years. Some are manufactured using more sustainable resources and requiring fewer carbon miles to transport than others. Some panels take only two years to generate the same amount of energy they took to produce compared with other often Chinese panels that take as many as 14. The quality of panel is inevitably important as well as this will affect how much electricity your system produces. With a commitment to both ethics and sustainability Ethical Solar are installing the most sustainable panels on the market that are not going to cost consumers the earth either. They are installing panels of European quality, at Chinese prices. 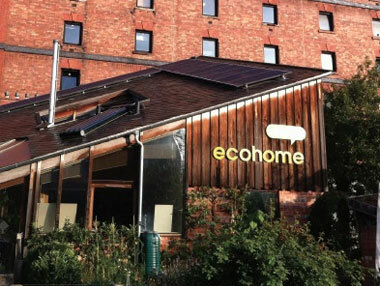 Ethical Solar won the prestigious Installer of the Year Award 2011 for taking a true ‘life-cycle thinking’ approach to the products they install and for maximising the positive social output of the company’s operations as well. As a solar PV installer and advisor based in Bristol, Ethical Solar can help explain how your property can benefit from solar panels. They provide free advice on all aspects of solar PV installation, including details on your potential system’s generation and returns. Ethical Solar support customers throughout the whole process – from installing panels to setting up payments.